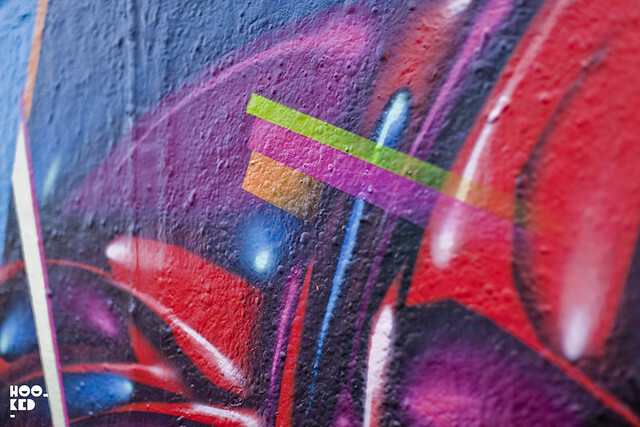 There seems to be an increase in the number of artists collaborating on walls together, which is a good thing in our eyes and in the last few months alone we have seen collaborative efforts from Paul Insect & Sweet Toof, Miss Van & Ciro & Pure Evil(covered here), Connor Harrington & Maser (covered here) and more recently Cranio & Mighty Mo (covered here), Cranio, Alex Senna and HIN. 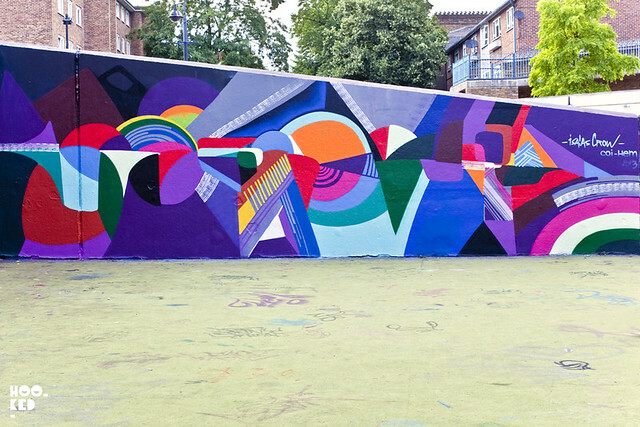 The latest duo to team up on a wall together is ATT Crew members Remi/Rough and LA based artist Codak Smith who is currently in London. 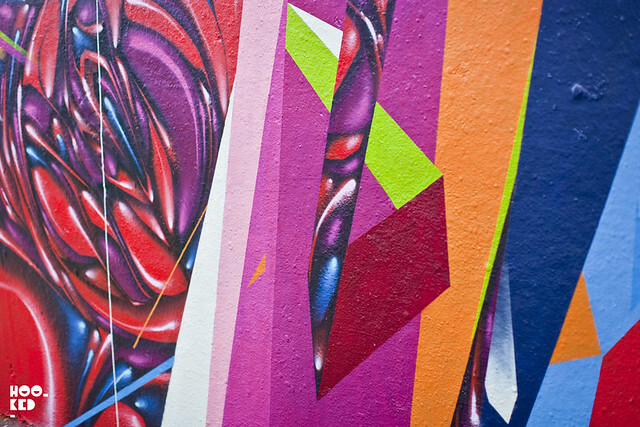 The two artists hit up Stockwell during the week to produce this vibrant collaborative piece titled "Slight Angles & Organic Light". 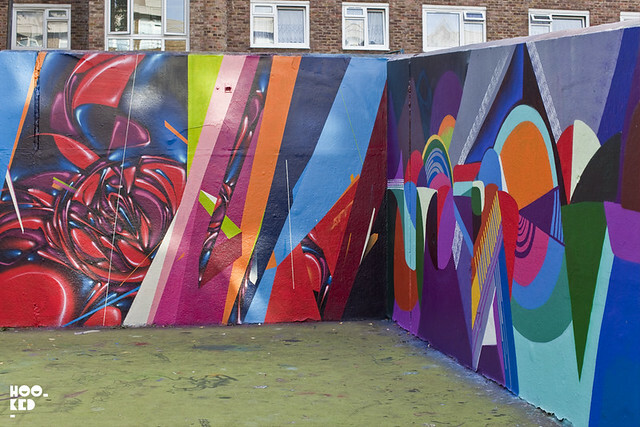 Also working alongside them on his own piece was artist/muralist Isaias Crow who is also passing through London. 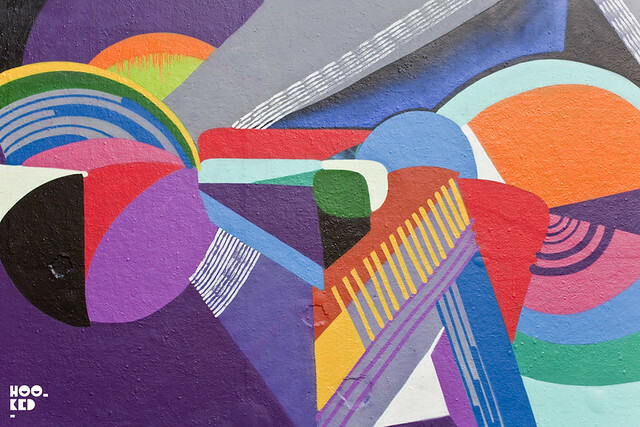 For our East London readers you might have already spotted some of Codak and Crow's work around Shoreditch as they have been busy painting various spots! Check out our Stockwell images below.